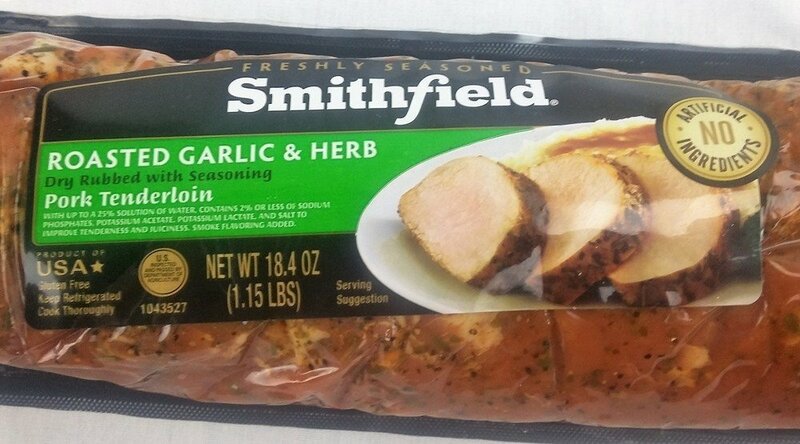 Our Smithfield garlic and herb pork tenderloin review came about because I have been wanting to try some of these marinated Smithfield products. In our house we won’t buy ribs that aren’t Smithfield anymore, their ribs just turn out better. For our review we will be grilling the tenderloin as the package tell us to. We will break the review down into 3 parts the package and raw product, the grilling, and the taste. Typically I just look quickly at a package then purchase the product but, for the purpose of his review I actually read it. 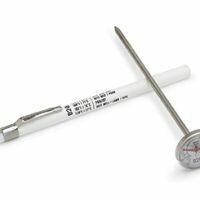 The reason I am writing an entire section on the package is that after reading the package I was confused by a few things. First was the “No artificial ingredients” on the label and on the ingredient list are “Dextrose and Maltodextrin” sure sounds artificial to me. Which brings us to the amount of sodium. I am not one to keep track of such things but 440mg sure sounds high. So I google sodium in pork tenderloin and it turns out that this cut of pork has a very high amount of sodium to begin with. When we removed the tenderloin from the package the smell was wonderful. The meat was lean without much fat and you could see the seasonings. We blotted off the excess marinade with a paper towel and it was ready for the grill. The package instructions were pretty straight forward and simple. Heat grill to a medium heat and grill for 18 to 30 minutes. So as directed I skipped searing it like I normally would and just placed it directly over medium heat. After the first 10 minutes I turned it over and it wasn’t as cooked as I thought it would be at this point. 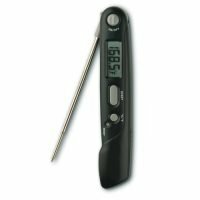 After another 10 minutes I checked the temp with our instant read thermometer, and it was only at 105 degrees. 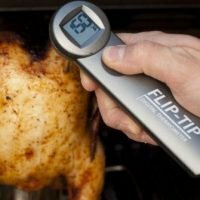 So I turned it over again let it go for another 5 minutes and that brought the temp up to 135. Now Smithfield recommends cooking this until the internal temperature is 150 so in another 5 minutes it was finished and it was beautiful. We tented it with tin foil and let it rest for another 5 minutes before slicing. If you can’t tell by the picture it was very moist and tender and cooked perfectly. You could taste the marinade all the way through the meat and it was delicious. The more I ate it the more I fell in love with it. Then I had a piece that tasted like pure salt. I am not sure if it was a clump of something or what is was exactly. I had a few more bites and there was that salt taste again. If it didn’t taste so good I would have stopped eating it. The wife thought hers was too salty from start to finish. 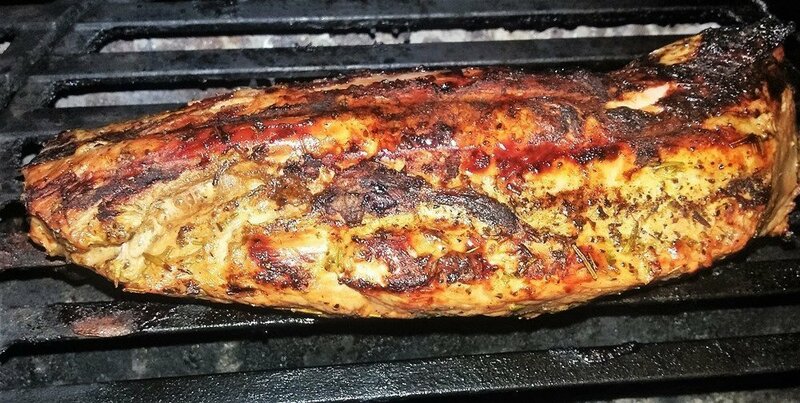 If you dislike salty foods you will want to avoid the Smithfield garlic and herb pork tenderloin all together. If salty doesn’t bother you then I say give it a try. I thought the flavor was wonderful, if it weren’t for those salty deposits I would have said this is a must try item. 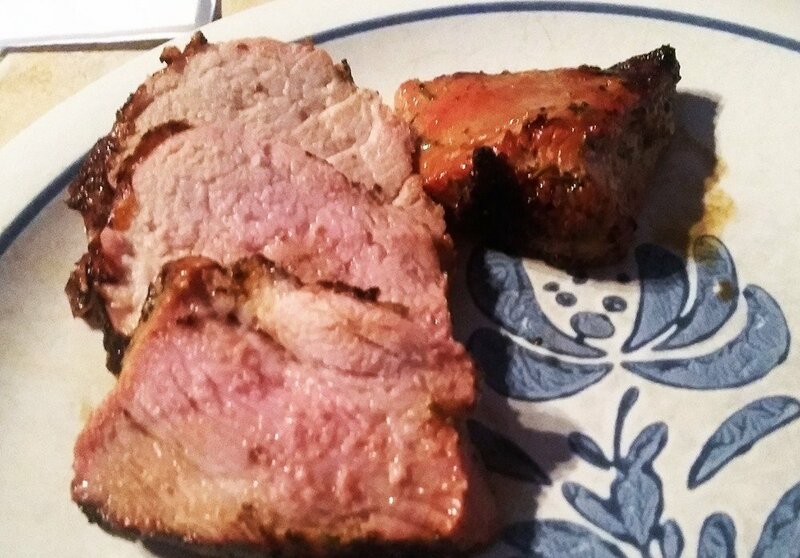 Would we buy a Smithfield garlic and herb pork tenderloin again? I would, the wife wouldn’t. Since she does the grocery shopping I guess we won’t be buying it again.